Home/News/How to wash fruits? What is fruit washer machine? Fruit washer machine is mainly used in washing fruits or vegetables, it is an essential equipment on the fruit and vegetable juice processing line. Fruit washer machine is also widely used in the processing of varied fruit products. To ensure the quality of fruit products or fruit juice, clean fruit is very important, so the washing of fruit is essential. 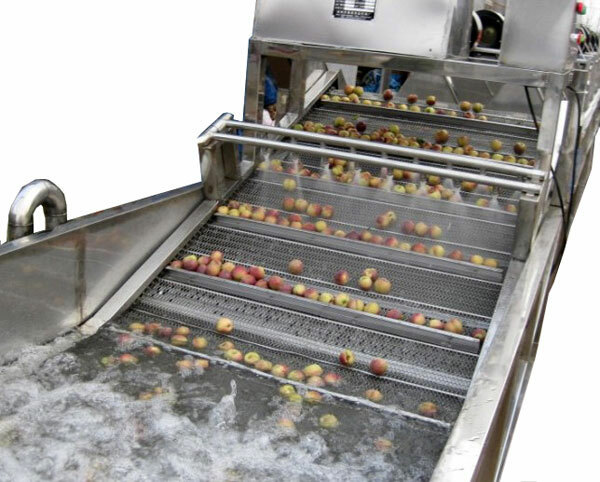 The fruit bubble washer machine is also a surf washing machine, which is one type of fruit and vegetable washing machine. TICO fruit bubble washer machine consists of water tank, blower, upender, blower, roller, spray water tube, hopper, etc.. The production capacity of TICO fruit bubble washer machine is 5-20 tons per hour. The blower blows the air out and keeps the water spinning, so the water flows quickly, scours the surface of the fruit and washes the dirt. TICO fruit bubble washer machine adopts air stirring and does not destroy the integrity of the fruit. After cleaning the fruits, they are sent to the elevator. In order to avoid secondary pollution and get more sanitary fruits, the dirt and sand of the washing materials are sent to the receptive tank at the bottom of the fruit washing machine. TICO can provide different specifications of fruit bubble washing machine according to customers’ needs. 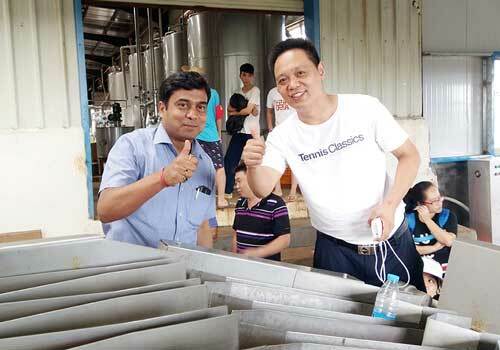 What are the characteristic of TICO fruit bubble washer machine? TICO fruit bubble washer machine and fruit peeling and extracting machine are highly consistent. The water tank, elevator frame and cleaning tank are made of 1.5 mm stainless steel, and the drive shaft adopts 1Cr13 high quality stainless steel. There is a circulating water pump, and high pressure water is used for washing the fruit. The specially designed surfing and bubbling can ensure thorough cleaning of fruits and reduce the damage to fruits. TICO fruit bubble washer machine adopts air stirring to quickly clean the fruit and protect the integrity of the fruit. With advanced technology, our fruit bubble washing machine is water-saving and energy saving. The washing water can be recycled after filtration. 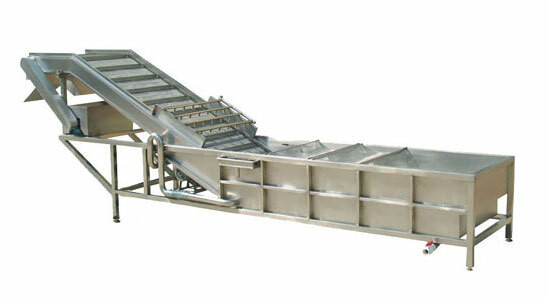 The washed fruits are sent to the lifting device to enter the next level. The control system adopts the technology of frequency control and seamless handover, PCL automatic control, which can achieve the coordination of downstream equipment. The operation is stable and the noise is less than 80 decibels. 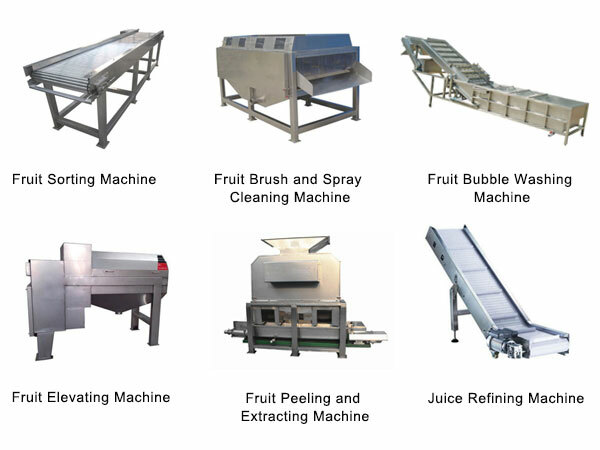 Fruit bubble washer machine is suitable for many kinds of fruits, including apple, pineapple, orange, pear, mango, tomato, etc..
Fruit sorting machine, Fruit brush and spray cleaning machine, Fruit bubble washing machine, Fruit elevating machine, Fruit peeling and extracting machine, Juice refining machine.